BOSTON, Jan. 26, 2012 /PRNewswire/ -- Yasso™, creator of the world's first frozen Greek yogurt novelty bars, announced the launch of Yasso™ Smoothies, an all-natural frozen Greek yogurt smoothie line. 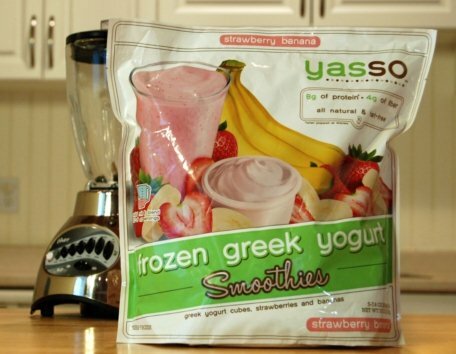 Yasso™ Smoothies are the first frozen Greek yogurt smoothies to become available in the United States. Yasso™ Smoothies are a delicious, guilt-free staple for the health-conscious consumer and available in Strawberry Banana, Mango Pineapple and Mixed Berry. Yasso™ Smoothies come conveniently packaged, are easy to prepare and can be consumed by women, men and children as a wholesome yet convenient meal, snack or after exercise drink. When prepared with one cup of skim milk, each 8-ounce serving is fat-free, low in sugar, boasts 8 grams of protein and 4 grams of fiber. "We crafted Yasso™ Smoothies to complement our Yasso™ Frozen Greek Yogurt novelty bars and provide consumers with a new way to enjoy the health benefits of Greek yogurt," said Drew Harrington, Co-Founder of Yasso™. "We are excited to offer consumers the first frozen Greek yogurt smoothie. 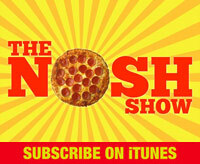 As a young company, we look forward to growing the Yasso™ brand and sharing new products with our consumers." Yasso™ Smoothies will be available in the freezer case near the original Yasso™ Frozen Greek Yogurt novelty bars. Yasso™ Smoothies are available in both retail and club offerings. The retail packs are 7.4-ounces and make two servings; the club packs contain five 7.4-ounce pouches and make ten servings. Founded by childhood friends, Amanda Klane and Drew Harrington, Apollo Food Group launched Yasso™ in early 2010 as the world's first frozen Greek yogurt bars. Delivering on consumer's desires for a healthy alternative to frozen treats, Yasso™ has quickly become one of the fastest growing brands in the frozen novelty category. Available nationwide in Strawberry, Blueberry and Raspberry, Yasso™ Frozen Greek Yogurt bars are all natural, fat-free, contain 6 grams of protein with only 70 calories and are made with rBST-free milk. To learn more about Amanda and Drew's story and the creation of Yasso™, please visit http://www.teamyasso.com/our-story.